The show Don Kirshner's Rock Concert was considered the best live broadcast of rock music in the United States from 1973 to 1981. So many great acts and live footage have yet to surface from those years. Don Kirshner hosted until the final year when he turned over duties to his wife and daughter. Uriah Heep made two appearances with special performances of good length and outstanding shows. The first was the now well circulated Shepperton UK footage which aired September 30th, 1974. This was the second appearance on Don Kirshner's Rock Concert. Filmed in Santa Monica, CA on September 1, 1975 (speculated date) the broadcast date is unclear at this point. Other acts filmed this night were Abba and headliner Janis Ian. Tickets for these shows were handed out to local high school students for free to insure a good young enthusiastic crowd in attendance. 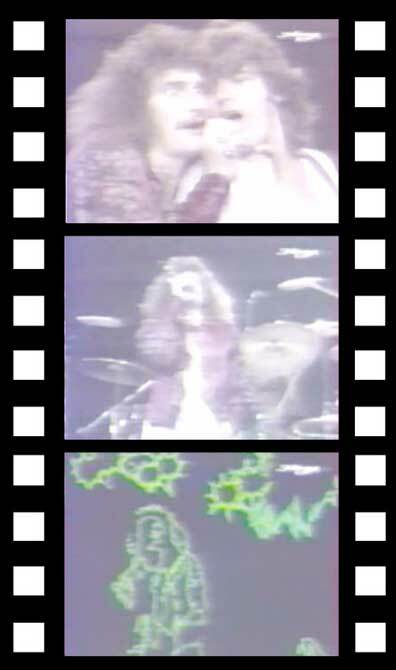 The video from this show was never officially released yet has been circulated through trade circles for years. Byron showed during this performance his enormous talent for working a crowd. Byron worked the crowd pretty well during this show as you can tell on this Return To Fantasy video from a Youtube link.